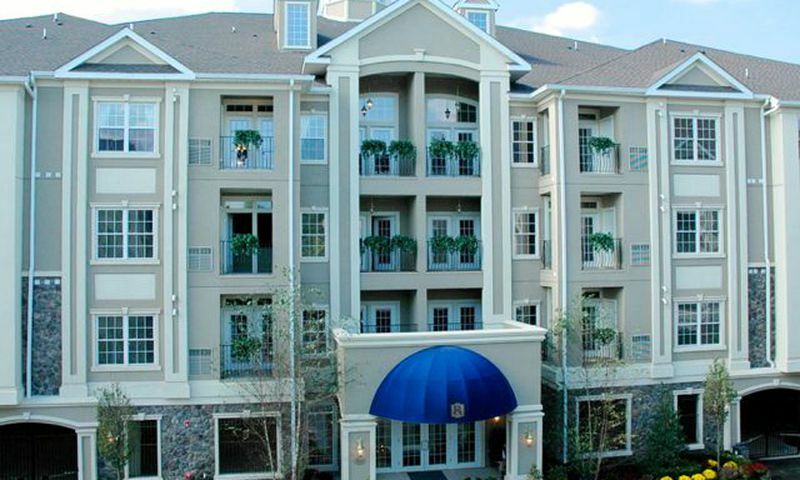 Winthrop Court in Clifton, New Jersey is a 55+ condominium community located within the gates of the master-planned community of Cambridge Crossing. This active adult neighborhood consists of low-maintenance, two bedroom condos. Here, residents can stay both physically and socially active within the amenity-rich clubhouse. Homeowners don’t have to worry about lawn care or shoveling snow, allowing them more time to enjoy hobbies and activities with neighbors and friends. With its prime location in Northern New Jersey, Winthrop Court is located close to Philadelphia and New York. The close proximity to major highways makes traveling easy and provides access to many shopping, dining and recreational opportunities. This wonderful community has the lifestyle, amenities, homes and convenient location that today’s active adults seek. The Royal Club is the central hub of Winthrop Court’ssocial scene. This beautifully appointed clubhouse welcomes your arrival and has everything needed for today’s active adults. Residents have access to all of its amenities including a library, theater room, catering kitchen, gathering room with a dance floor and lounge with a bar. Residents can stay in shape in the fitness center and then relax their muscles in the saunas. The billiard and card room is a great place to join neighbors in some friendly competition. There is even an outdoor pool and spa to soak up the sun in the summer months. Residents also enjoy access to two tennis court and a bocce ball court for some friendly neighborly competition. Winthrop Court is a 55+ condominium community within the master-planned community of Cambridge Crossing. There are nine elegant mid-rise buildings with 30 units in each. Homes range in size from 1,485 to 2,139 square feet and feature two bedrooms and two bathrooms. There are also penthouse homes with a loft for those seeking a little more space. There is a gated parking garage with direct lobby access for residents with cars. Each home was thoughtfully designed with open floor plans and natural flowing space. There are expansive master suites with spacious bathrooms and walk-in closets. Kitchens come with granite countertops and stainless appliances. Every home also has a fireplace, balcony and ample storage space. Winthrop Court offers the best in low-maintenance living. A homeowners’ association fee covers the maintenance of the building, snow removal, as well as exterior care of the community grounds. This allows residents the chance to enjoy their days being active and social. Residents can enjoy some friendly competition over a game of billiards or cards. The theater is the perfect place to watch a movie or game with neighbors. Residents can relax with a book or socialize in front of the fireplace, library or outside by the pool. There are also several community events and parties where everyone gets together for camaraderie and fun. Card games, discussion groups and holiday parties are just a few of the options for residents to enjoy each other’s company and meet new neighbors. Winthrop Court is located in Clifton, New Jersey. This prime Passaic County location offers an abundance of local restaurants, shopping and recreational opportunities. Clifton Commons is a short distance away and provides premier shopping with an AMC movie theater. For those who want to venture across state lines to Pennsylvania or New York can do so with Garden State Parkway, Route 2 and Route 46 or take the New Jersey Transit. Newark Liberty International Airport is also less than 30 minutes away for farther travel. Residents can enjoy entertainment throughout the surrounding areas including the Meadowlands Sports Complex, Radio City Music Hall, Jersey Shore, and Catskill Mountains. Winthrop Court is close to everything an active adult community needs in the Northern New Jersey area. There are plenty of activities available in Winthrop Court. Here is a sample of some of the clubs, activities and classes offered here. Winthrop Court is fabulous! I am an interior designer so I really appreciate the gorgeous architecture and the beautiful decor. It is VERY well done and has a great warm and inviting feel. My condo is fantastic and has given me tons of great opportunities to do some wonderful decorating! My friends and family always rave about my condo and I've even talked one of my friends into moving here too. I love the condo lifestyle without having to worry about maintenance. I have plenty of time to use the amenities which are also very nice. Even the entrance and landscaping is nice, it's like living in a fancy resort! 55places.com is not affiliated with the developer(s) or homeowners association of Winthrop Court. The information you submit is distributed to a 55places.com Partner Agent, who is a licensed real estate agent. The information regarding Winthrop Court has not been verified or approved by the developer or homeowners association. Please verify all information prior to purchasing. 55places.com is not responsible for any errors regarding the information displayed on this website.